In 2018, The Mercedes-Benz GLC was the third best-selling compact luxury SUV in Canada, surpassing rivals such as the Cadillac XT5, the Acura RDX and the Volvo XC60. In fact, only the Audi Q5 as well as the BMW X3 and X4 (calculated together) seduced more buyers during the course of the year. Here are five things to know about the 2019 Mercedes-Benz GLC. 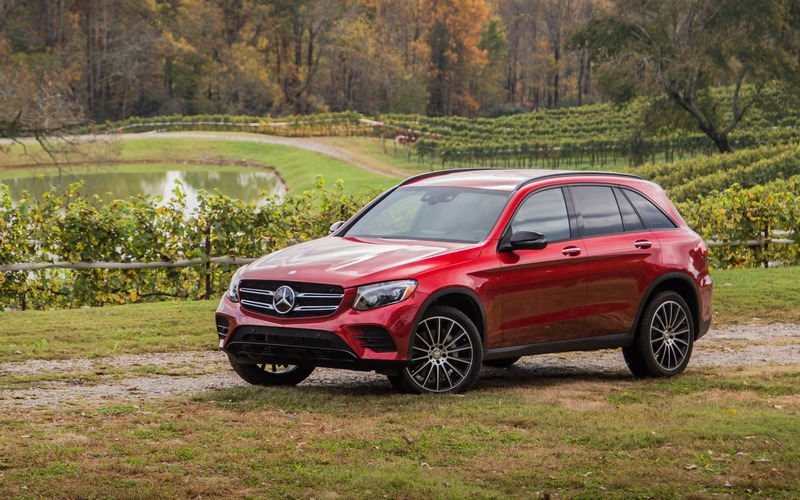 The GLC is available as a conventional SUV, but also in a sportier shape called the GLC Coupe. The latter is 76 millimetres longer than the regular GLC, with a ride height lowered by 36 mm, and its suspension is slightly firmer. Obviously, rear-seat passenger space and the cargo area are more generous in the GLC than in the GLC Coupe. While the GLC 300 4MATIC (MSRP from $47,300 before freight and delivery charges) will satisfy the needs of most compact luxury SUV buyers, with its 241-horsepower, turbocharged 2.0-litre four-cylinder engine, two AMG variants are also available which offer more power and a more aggressive appearance. The AMG GLC 43 4MATIC ($62,500 and up) relies on a twin-turbo V6 with 362 hp, while the AMG GLC 63 S 4MATIC+ ($90,500 and up) ranks among the most powerful SUVs on the market: thanks to its 503-hp cavalry under the hood, served up by its twin-turbo, 4.0-litre V8, the SUV hit blast from 0 to 100 km/h in only 3.8 seconds. These three trim levels are offered with both body styles. Aside from the powertrains in the GLC 300, AMG GLC 43 and AMG GLC 63 S, we can also opt for the GLC 350e 4MATIC plug-in hybrid, listed from $60,200. Its powertrain produces a combined output of 315 horsepower, and its fully electric driving range is estimated at 21 km. On a Level 2 outlet, the GLC 350e can be fully charged in less than two hours. If the GLC 300 and GLC 350e variants are to our liking, but a little more visual punch is desired, we can check out the two styling packages available on the options list. 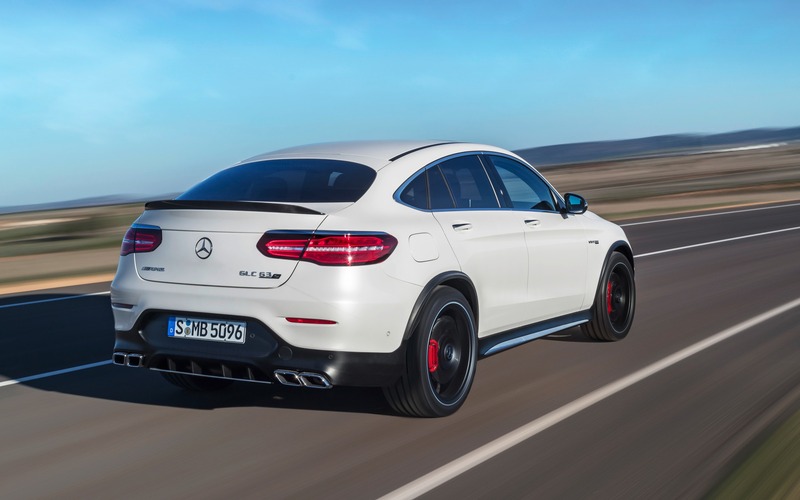 The AMG Package adds more aggressive-looking bumpers with chrome plating and 19-inch AMG alloy wheels, while the slightly more expensive Night Package decks the GLC with blacked-out bumper guards, headlight clusters, horizontal grille bars and mirror caps. In both cases, we can upgrade to 20-inch wheels at extra cost. Inside the 2019 Mercedes-Benz GLC, we benefit from a stylish dashboard, with a centre stack that “floats” thanks to configurable ambient lighting. The circular air vents add a touch of class, and trim choices include open-pore wood, piano black with aluminum and carbon fibre. The seats can be covered in man-made leather, genuine leather or Nappa leather upholstery with a choice of colours.